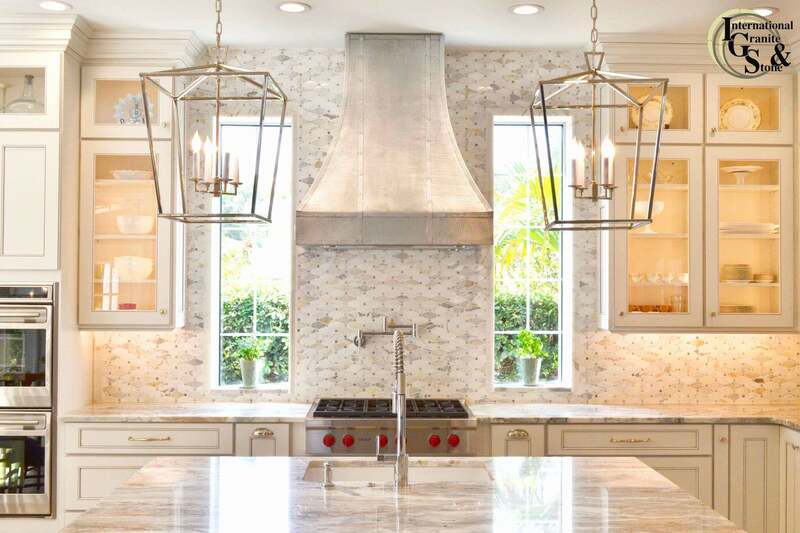 Cambria Quartz is one of Tampa’s Hottest Countertop Materials right now. More and more New Home Builds, New Apartment Structures, and Homeowners are choosing Cambria Quartz for their Countertops in the Tampa Bay area over traditional Granite tops. Quartz is all the rage, with its Durability and Shine, and because it never needs to be Sealed. Read more for a recent Homeowner’s experience replacing their Kitchen Countertops with Cambria Quartz. Built in 1987, the McMurray home overlooks the Hillsborough River in Tampa. Tim and his wife have lived in the home for over 19 years. The entire Kitchen Remodeling Process took them about 4 months from start to finish. Before they could even consider Countertops, their first step was to order new cabinets. The couple chose raised panel doors in a light gray-blue color. After the cabinets were installed, Tim and his wife went to work on selecting countertops. The McMurray’s dove into Countertop Research by looking up Quartz, it’s benefits and the different types of brands of quartz. Among being scratchproof and stain proof, Quartz never needs to be sealed, unlike other natural stone options like Granite or Marble. They looked at two brands of quartz, in particular, Quantum Quartz and Cambria. 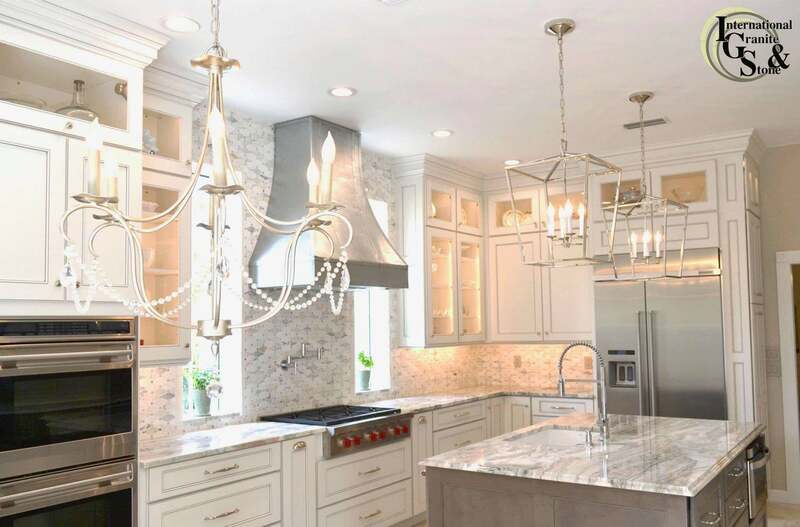 From their research, the McMurray’s fell in love with Cambria Castlemartin Quartz. Castlemartin is a yellow toned quartz color, with stray strands of blue veining mixed throughout. After deciding on a color they liked online, they scheduled an In-Home Consultation with International Granite and Stone’s Jessica A to bring a sample of the color to their home. 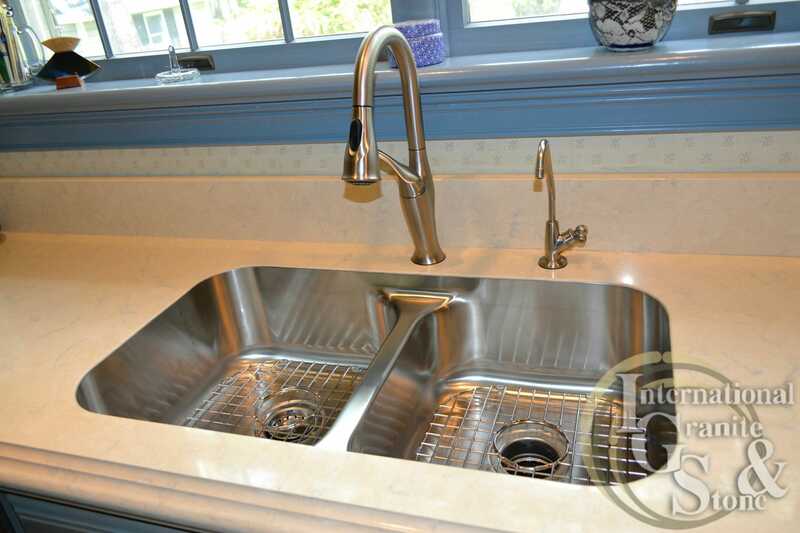 In addition to the Cambria Castlemartin Quartz, The McMurray’s knew they wanted a Stainless Steel TopZero Sink. These sinks offer a seamless, rimless look, allowing for the sink edge to blend with the Countertop Material. 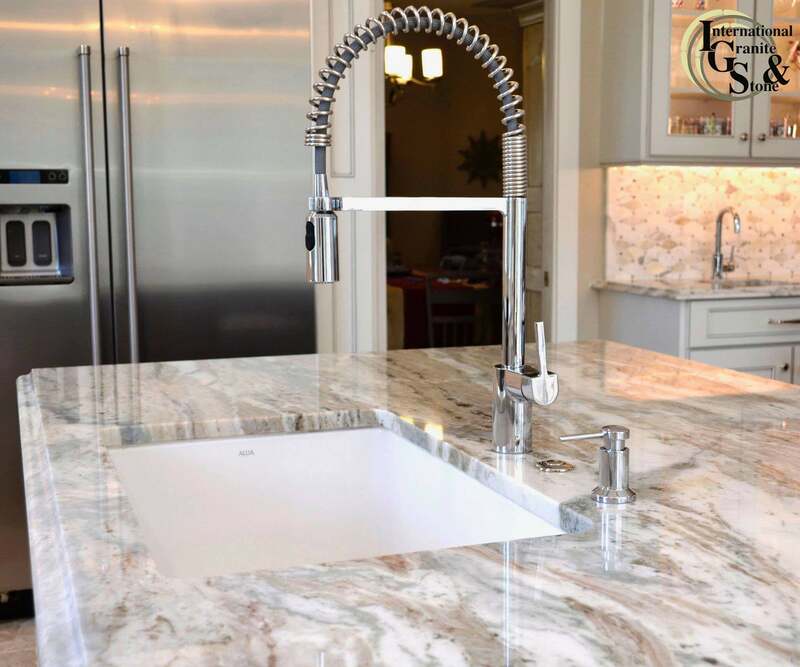 They are a great alternative to traditional Undermount sinks. The McMurray’s used the London TZ RS 380 55 Double Bowl Sink for their project. Before going to International Granite and Stone, the McMurray’s got a quote from another Kitchen place located in South Tampa. They quoted the client at a much higher rate for the removal of the countertops, about $5000. “Jessica was great, she was knowledgeable from the start. The other people, we felt like we were almost bothering them when we went into their showroom” Mrs. McMurray said. What are Cambria Quartz Countertops? Cambria Quartz is the leading brand of Man-made Quartz products used for Countertop purposes. Quartz itself is rock hard found in nature, that Cambria enhances for rock solid Countertops. Cambria Quartz is made up of 93% Crushed Quartz, and 7% Resin. When bound with the human-safe resin, the finished product is a Non-Porous, Ultra-Durable, slab of material. These slabs are then sent to Premier Fabricators they trust, like International Granite and Stone. International Granite and Stone is a Cambria Premier Dealer. Cambria Premier Dealers are the crème de la crème in the Countertop World. Not only does Cambria work hand in hand with these premier companies, but they also guarantee that any work that comes out of these shops with their materials, is up to Cambria’s Seal of Approval. Cambria Quartz also has other applications, besides just countertops. 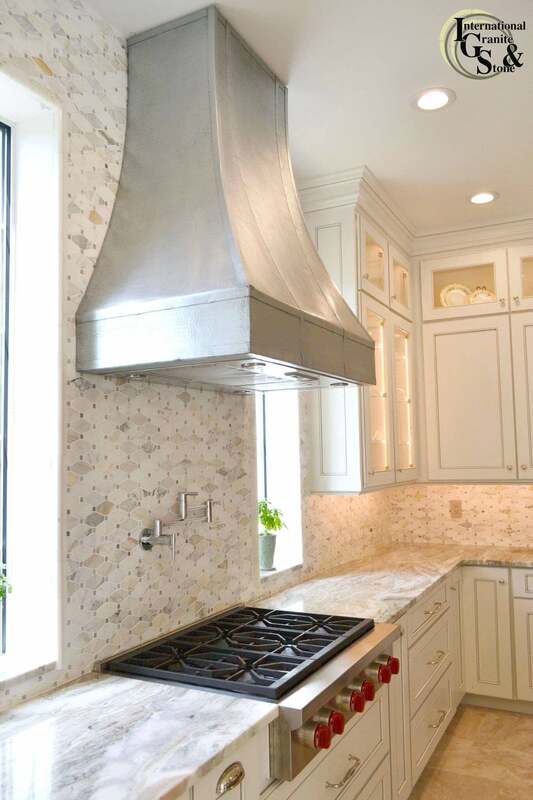 Cambria can also be used as a Backsplash instead of Traditional tiles, applied on Walls to make a Statement piece, Fireplace Surrounds, Window Sills, Floors, and More! With an In-Home Appointment and Jessica A.’s Help, the McMurray’s Chose Cambria Castlemartin Quartz, for Its Immense Durability and Low Maintenance. Cambria Quartz Is An American Made Quartz Product Manufactured out Of Le Sueur, Minnesota. Lighter Colors Are Preferred to Customers. Cambria Quartz comes with a Lifetime Warranty from the Manufacturer. Buy with Confidence; Quartz Countertops are Stain Resistant and Scratch Resistant, and Never Require Sealer, Unlike Granite or Marble. Cambria Castlemartin Is Part of Cambria’s Marble Collection. Where to Buy Cambria Castlemartin Quartz in Tampa? At International Granite and Stone-Tampa, We Make It Easy to Get Kitchen or Bathroom Countertops for your Home. 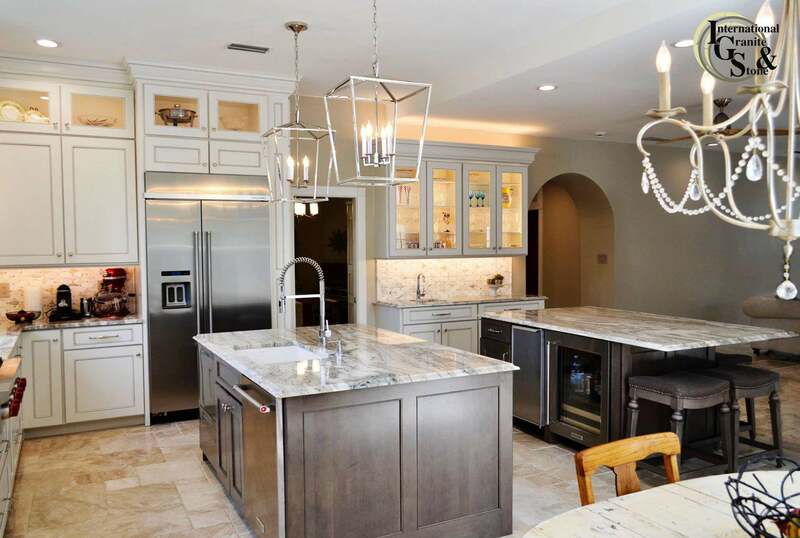 Shop Online, Schedule a Free In-Home Appointment or Visit our Natural Stone Warehouse and Gallery in Tampa, Featuring: Quartzite Slabs, Cambria Slabs, Granite Slabs, Kitchen and Bathroom Displays, Samples and More. Call us Today to set up a Free In-Home Design Consultation!